To see the tallest mountains east of the Mississippi River, you must come to western North Carolina. 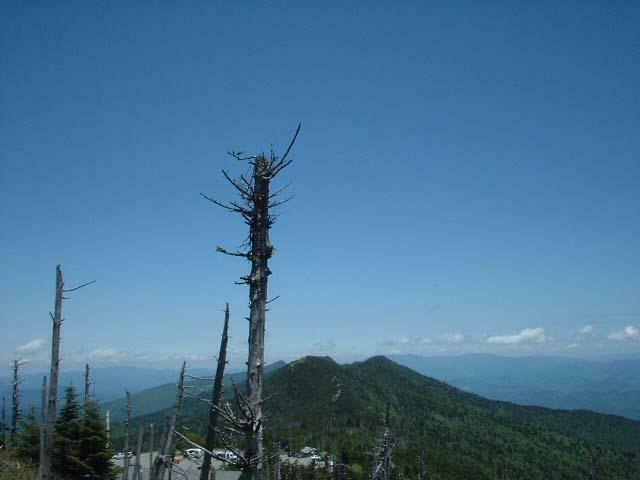 The highest, Mount Mitchell, at 6,684 feet, is part of the Black Mountain range. It was named for Elijah Mitchell, a professor of science at the University of North Carolina, who in 1857 fell to his death on its slopes trying to win his argument with Congressman T. C. Clingman over which of them had ascended and measured the mountain’s true peak. His body was recovered by the famous mountain hunter and guide Big Tom Wilson, and was buried on the summit. In the 20th century, North Carolina tried to preserve the mountain’s environment by turning it into a state park, but its crowning fir forest continues to be ravaged by a deadly combination of air pollution and tree killing insects. 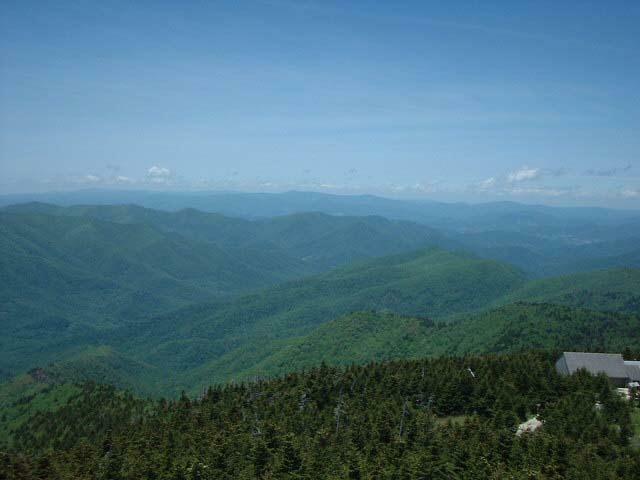 Of the ten highest mountains in the eastern United States, six are in the Black Mountain Range of western North Carolina. The most famous of these is Mount Mitchell, which at 6684 feet is the tallest peak east of the Mississippi River. Mount Mitchell is named for Dr. Elisha Mitchell, a science professor at the University of North Carolina. In the mid-1800s, Mitchell made many visits to the Black Mountain Range, using early barometric instruments and mathematical calculations to measure mountain elevations. He was sure that several peaks in the range were higher than Grandfather Mountain, which at the time was believed to be the tallest in the region. His findings showed one specific peak, modern-day Mount Mitchell, to be the tallest of them all. 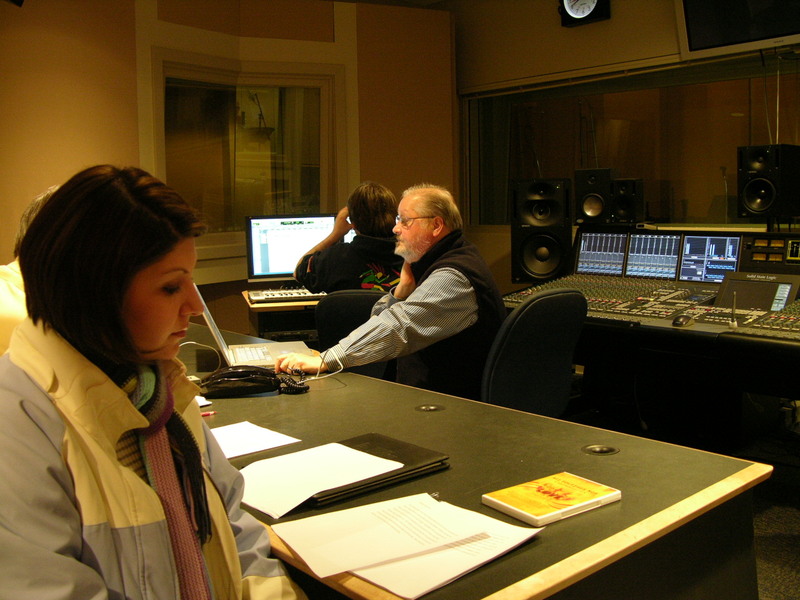 However, his claim was challenged by North Carolina Congressman Thomas Clingman. He felt the elevations measured by Mitchell were inaccurate and set out to prove it. The two men, once friends, became bitter enemies, as each tried to discredit the integrity of the other. The feud came to a tragic end in 1857 when Mitchell, on an expedition to verify earlier elevation measurements, fell to his death from a waterfall. With some remorse, and acknowledging the enormous contributions Elisha Mitchell had made to the region, Clingman ceased his attack on Mitchell’s claims. Subsequently, the tallest peak was named for Dr. Mitchell. 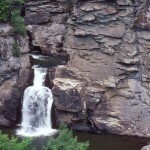 In 1915 it became the centerpiece within North Carolina’s first state park. 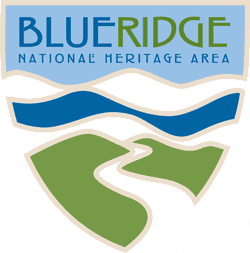 One hundred and fifty years ago the landscape of the Black Mountain Range was dominated by red spruce, fraser firs, and towering first-growth hardwoods trees such as American chestnut, hickory, and oak. Present-day visitors to Mount Mitchell will find a much different environment. Early in the 20th century, industrial logging and the chestnut blight combined to destroy millions of acres of forests in the Appalachian Mountains. In the 1950s, tree-killing adelgids from central Europe found their way to the region, and most of the native firs along the highest peaks died as a result. Today, air pollution and acid-laden rain pose a new threat to Mount Mitchell and the surrounding mountains. A rich diversity of plants and animals continue to live in Mount Mitchell State Park. Now protected by law, many species of trees like yellow birch and mountain maple have filled the gaps created by the loss of the others. During warm months, native plants like blueberry, honeysuckle, and raspberry fill the air with their fragrance. Close to one hundred species of birds live in the region, and peregrine falcons are frequently observed from atop the lookout tower on Mount Mitchell. Also present are black bears, white-tailed deer, and striped skunks living alongside bobcats, flying squirrels and gray foxes. Many books are available that provide wonderful, detailed narratives of the history of Mount Mitchell and the surrounding area. Especially interesting are the stories about Elisha Mitchell, Thomas Clingman, and Big Tom Wilson. 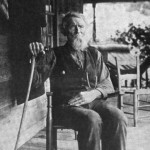 Wilson was a famous mountain hunter and guide who was born in the shadow of the Black Mountains. It was claimed that Wilson, a natural storyteller, could begin one of his yarns early on the morning trail and still be talking when his party reached a peak at midday. When Elisha Mitchell suffered his fatal fall it was Big Tom who led the expedition that eventually found his lifeless body at the base of a large waterfall. 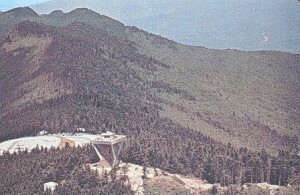 Upon the gruesome discovery Wilson sadly commented, “Here he is, poor old fellow.” Several environmental histories of Mount Mitchell describe its origin and detail the recent effects of man’s presence, as do a number of websites. Mount Mitchell and Mount Mitchell State Park are located about 35 miles east of Asheville, NC. 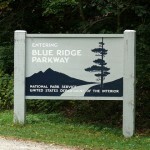 Traveling the Blue Ridge Parkway, the scenic drive takes about an hour. Like many Appalachian peaks, the summit of Mount Mitchell is often shrouded by clouds and mist. For best results, check local conditions for a clear day for your visit. The weather can be unpredictable and changes quickly, so dress in layers and bring along rain gear. If hiking is planned, additional water and food are important considerations. The wondrous Appalachian Mountains have provided a sense of awe and a reservoir of folklore for many generations. While recent environmental setbacks should be a concern to everyone, they should also stimulate local residents and visitors alike to work for solutions to preserve the proud heritage of one of Appalachia’s most spectacular natural gifts, Mount Mitchell. 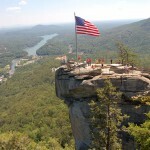 This essay is based primarily on information found on the websites of romanticasheville.com and ncnatural.com. – and in the books by Kent Schwarzkopf and Timothy Silver [see below]. Cabins in the Laurel by Muriel Earley Sheppard. Mount Mitchell & the Black Mountains: An Environmental History of the Highest Peaks in Eastern America by Timothy Silver. 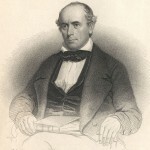 Elisha Mitchell Yale educated Elisha Mitchell moved from Connecticut to Chapel Hill, North Carolina in 1818 to become Professor of Mathematics and Natural Philosophy. . .
Tom Wilson Big Tom Wilson, a legendary tracker, guide, and bear hunter whose death was reported in the New York Times, roamed the Mt. Mitchell area in the early 19th century.